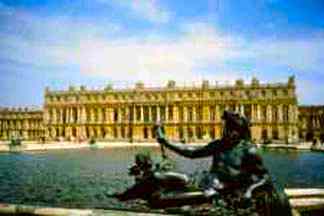 Versailles besides being grand beyond belief interiorly, Louis XIV wanted the most magnificent gardens of all at that time, and he especially wanted his gardens to be more impressive then Vaux le Vocomte's lavishly beautiful gardens. 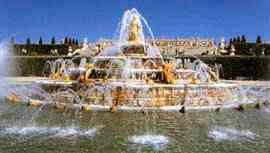 So he hired the the famous landscape architect Andre Le Notre, to create the most spectacular gardens in France. A truly amazing example of architectural delights! many fountains around its gardens. 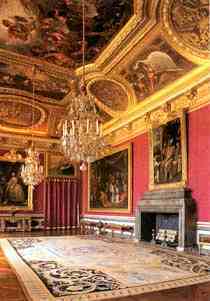 The salon of Mirrors, was used by Louis XIV as a council room. 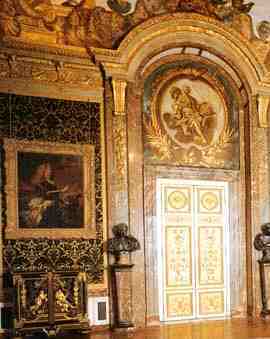 The Salon of Abundance is one of the most familiar and intimate rooms in the King's apartment. 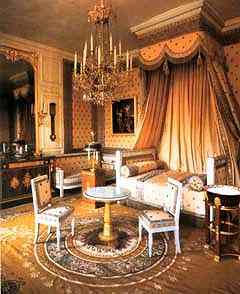 Featured Castles with rooms for rent, or the castle itself! 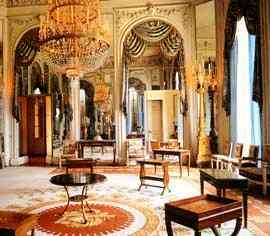 Order a free copy of our article on Chateaux, by clicking here.